Philippine Eagles are critically endangered. It's difficult to accurately determine population size, but most estimates suggest there are 200-800 birds left in the wild. Habitat loss and human persecution rank as the top threats to their survival. 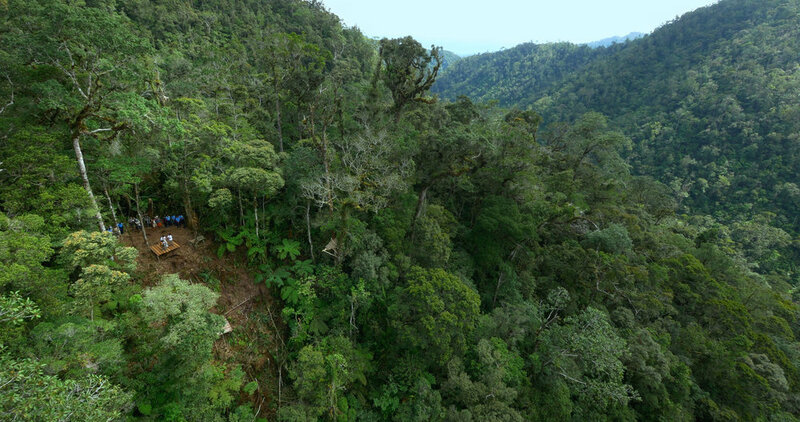 International demand for timber led to the rapid demise of the Philippine forest in the late 20th Century. 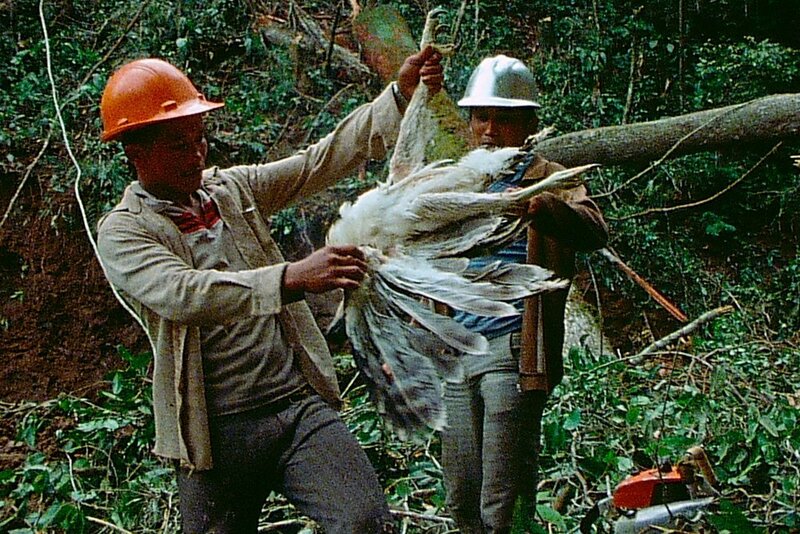 Philippine Eagles require large tracts of intact forest to survive and most of what remains today is too small or fragmented to meet their needs. Large-scale deforestation and fragmentation have left the eagles exposed and vulnerable to the growing human population. Every year eagles are killed or injured as a result of shooting or trapping despite laws designed to protect them. There is still time to save the Philippine Eagle, and the PHILIPPINE EAGLE FOUNDATION is leading the way. There is still time to protect and restore the Philippine forest and stop the unnecessary shooting and trapping of Philippine Eagles. The PEF is the only non-profit organization in the Philippines dedicated solely to the protection and preservation of the Philippine Eagle. The men and women of the foundation are the true heroes of our story—working tirelessly, with limited resources and against great odds, to keep the eagles from slipping into extinction. At the Cornell Lab's Multimedia Unit, we partner with regional and international organizations to support the conservation of some of the most endangered species and habitats around the world. We joined forces with the PEF and Neil Rettig Productions to produce Bird of Prey, and create targeted education and conservation media that is being used to support eagle conservation in the Philippines.